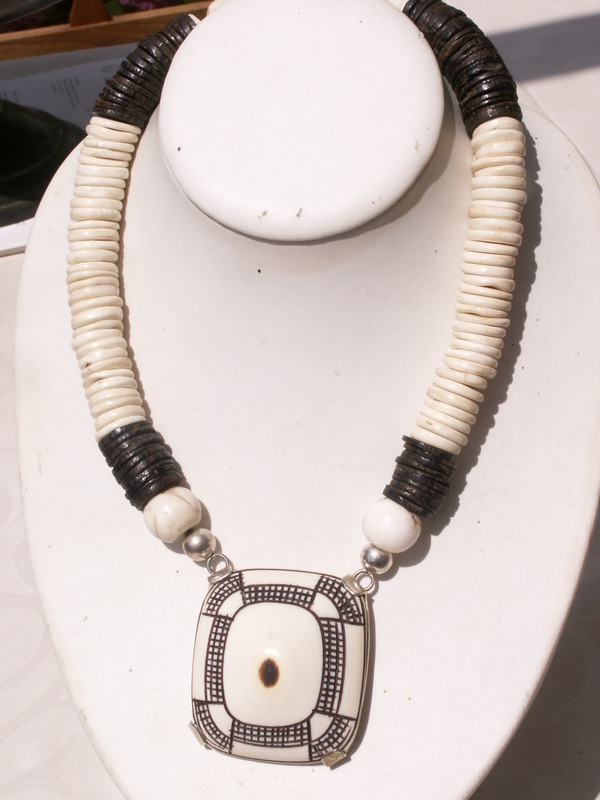 A collector's dream of ancient beads, a new design by Beadart-AustriaWonderful ancient white banded agate beads necklace. 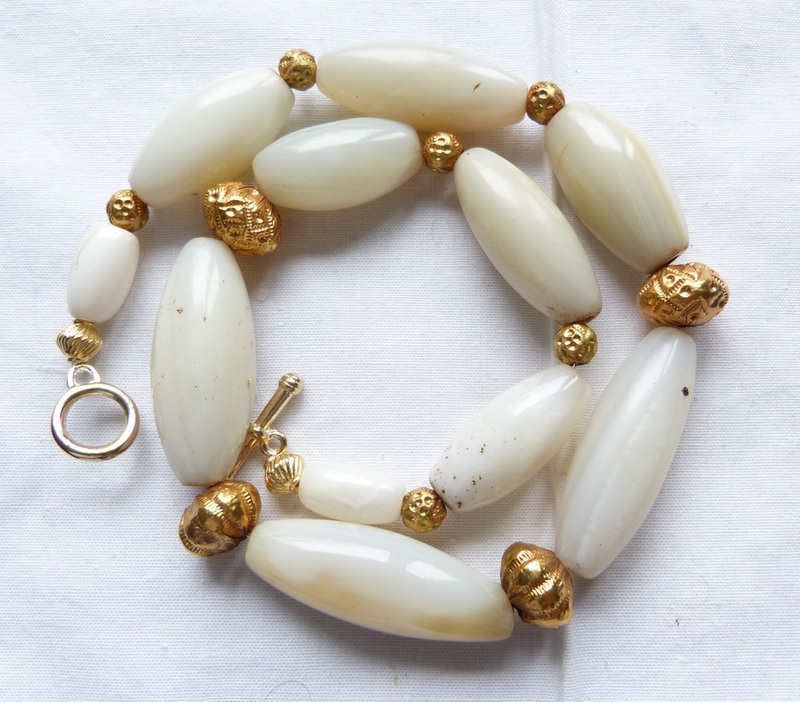 The white agate beads from Nigeria have become very rare and are considered collector beads. 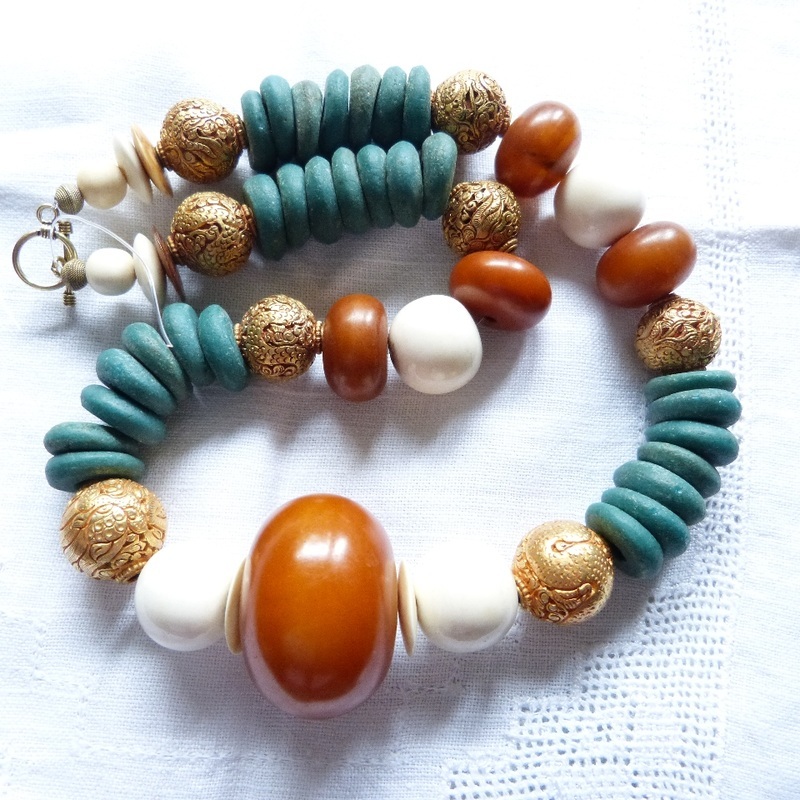 I have had the good chance to acquire a double strand of these exquisite beads. The are hand drilled from both sides, a sure sign of age.I have hand selected the beads for this necklace form all the beads I bought. They are exquisite in shape and translucency. Natural stone with surface patina through extended wear, they have become smooth and silky to the touch. 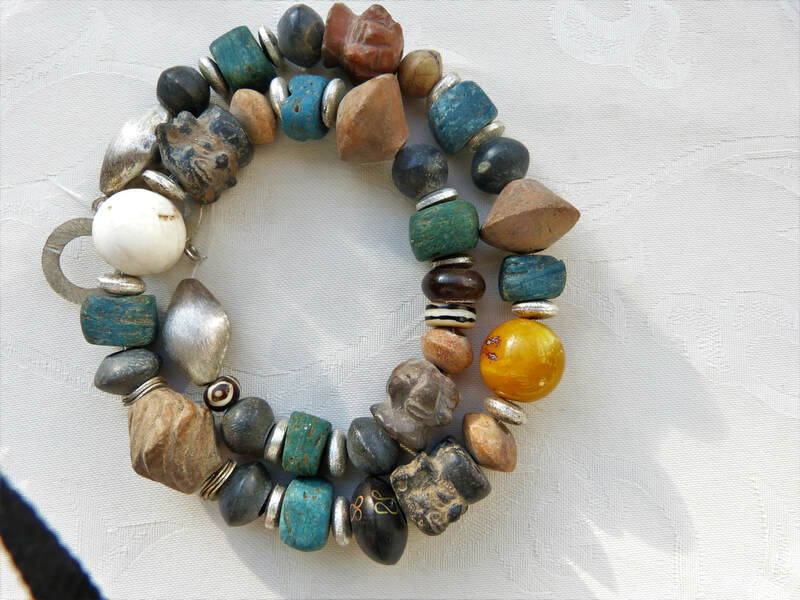 Some of the beads show natural stone defects. All stringing holes are in pristine condition.Spacer beads are antique 22 K gold over lac core beads from India.Clasp and end beads are made brass. 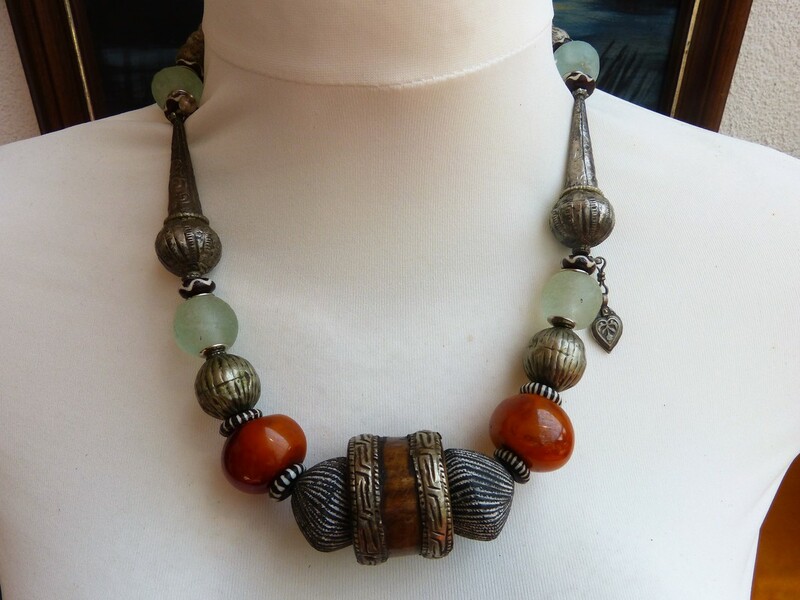 Exquisite African style necklace with antique Bauxite (pipestone) from Ghana, African brass and bronze. I have highlighted the red pipestone with double pointed rock crystal stones, very similar to pointed Herkimer Diamonds. The refracting light of the rock crystal beads contrasts beautifully with the red stone. Very eye catching necklace to wear! 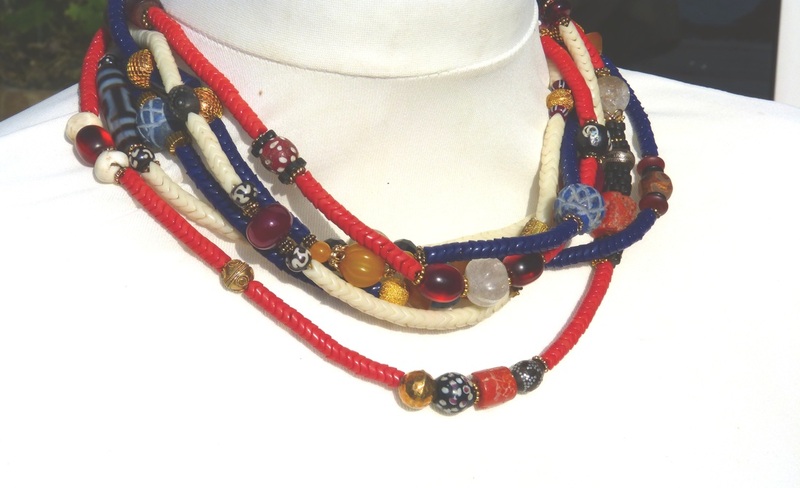 Traditional AFrican necklace as shown in various books about African jewelry like Africa Adorned. The original necklaces were always strung with lion teeth. This necklace here strung in the style of, but using superb wolf teeth. 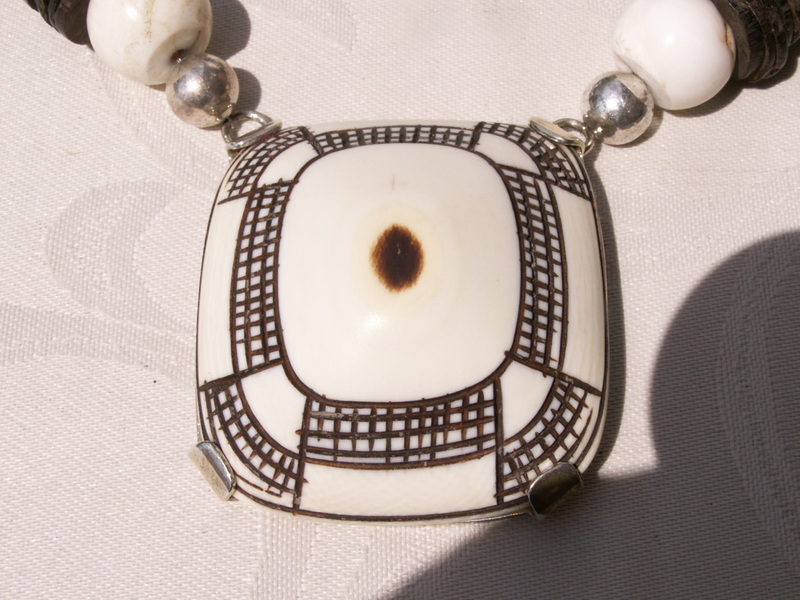 Chevron beads are quite large, intermediate beads European wound beads from the 1800s and metal beads. Neckpart very old bone disk beads. Length 47 cm, can be made longer! 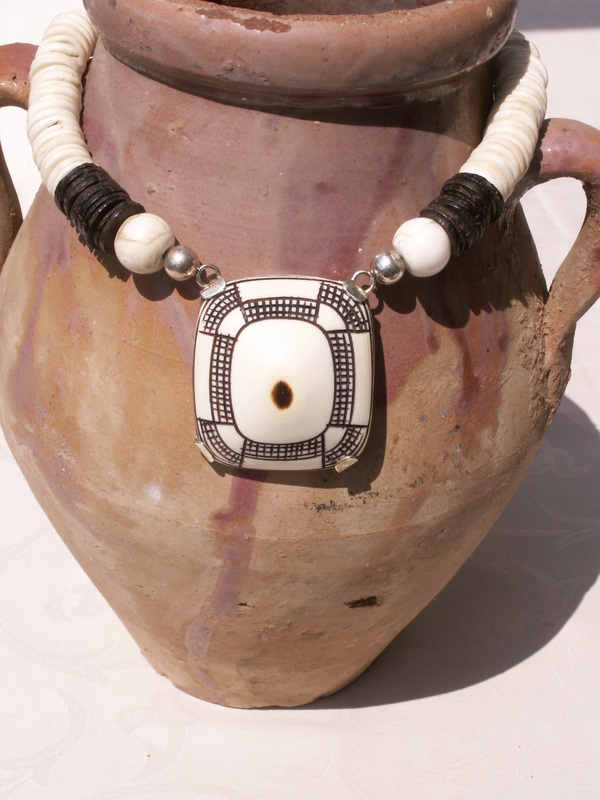 This necklace has been crated around a beautil Namibia Bushmen Ekipa, bone button! This button is NOT antique , however very very well made. Bushmen wear these buttons on their clothing. I have had the button bezel set in heavy sterling silver by my jeweller (invoice). 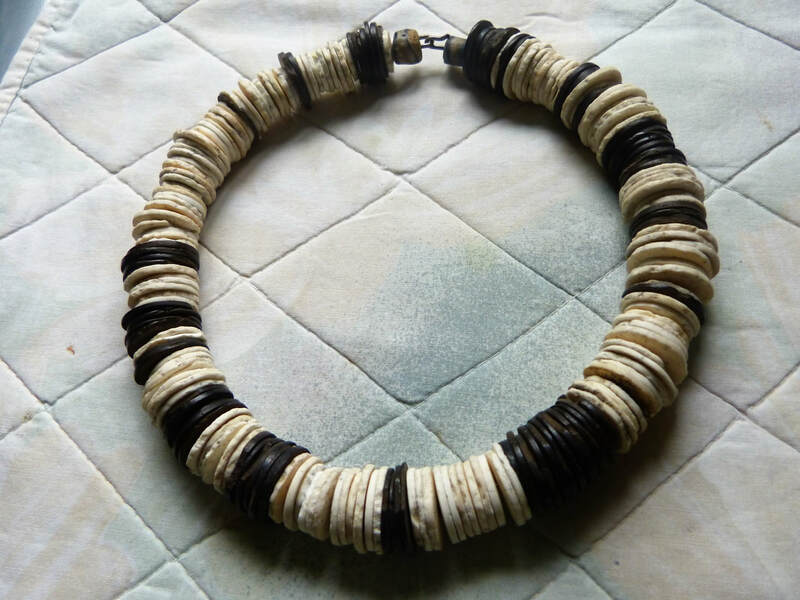 The beads used for the necklace are also sterling silver, antique shell disks and round beads as well as antique coconut shell heishi. Size of Ekipa 60 x 50 mm, Austrian hallmarks on bezel!